Slight left bias. One of the great clubs. 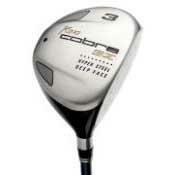 Great feel off the face, explosive distance. Easy as heck to hit. Love it. Should be quite cheap at this point, and you will not find a better club in the category.